8:00 am -9:30 pm Monday -Thursday, 8:00 am -2:00 pm Friday. Closed Saturday & Sunday. CollegeAmerica is dedicated to helping our students graduate and get a much better job sooner. We focus on educating people for rewarding careers and enriching lives. Our goal is for students to achieve success in career-oriented programs and enhancement of skills in critical thinking, communication, problem solving, and using technology culminating in satisfactory career placement or advancement in current employment. As a private, nonprofit college, we are independent. We are uniquely suited to putting student needs and goals first. We are able to support individuals and organizations in our community through high-value degree programs, and our Good Neighbor Initiative. Through our Good Neighbor Initiative we invest in the community, which strengthens neighborhoods and families. We offer GED® preparation classes at no cost and other services provide a bridge to degrees that can change lives for the better. We also offer at no cost training workshops for employers and organization partners. We proudly invest in providing the highest quality, career-focused degree programs as a nonprofit college serving our community. Today, CollegeAmerica is known for its high educational standards. Academic majors are designed specifically to meet the changing trends and requirements of the business, technology, and medical employment markets. Business, technical, and medical leaders have come to recognize CollegeAmerica graduates for their superior training and their outstanding professionalism. 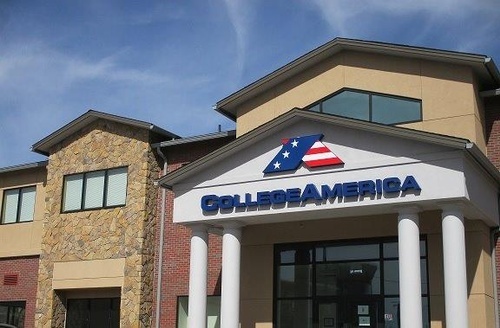 CollegeAmerica would like to invite you to come visit us for a tour today!